The Edge-Core ECS4610 Series currently includes two different models, the ECS4610-26T and ECS4610-50T, with dual optional 10 Gigabit Ethernet uplinks. The two models provide full non-blocking performance to meet network demands for voice and video streaming. Optional 10GBASE-XFP transceivers can support fiber uplinks up to 40 km. old ones without service interruption. With IEEE 802.1w Rapid Spanning Tree Protocol, the Edge-Core ECS4610 Series provides a loop-free network and redundant links to the core network with rapid convergence of less than 2 seconds. IEEE 802.1s Multiple Spanning Tree Protocol allows a Spanning Tree instance per VLAN, for Layer 2 load sharing on redundant links. The Edge-Core 4610 Series supports IEEE 802.3ad Link Aggregation Control Protocol (LACP). The switches increase bandwidth by automatically aggregating several physical links together as a logical trunk and offer load balancing and fault tolerance for uplink connections. Adding an optional redundant power supply ensures that the Edge-Core ECS4610 Series remains stable to support today’s high-availability, mission critical environments. ensure differential prioritization of packet flows and avoid congestion of ingress and egress queues. With bidirectional rate-limiting, per port or traffic class, the Edge-Core ECS4610 Series preserves network bandwidth and allows full control of network resources. The Edge-Core ECS4610 Series provides enhanced security features for connectivity and access control, including ACLs, authentication, and port-level security with IEEE 802.1X. Access Control Lists (ACLs) can be used to restrict access to sensitive network resources by denying packets based on L2/L3/L4 headers. SSH and RADIUS authentication protect data communications and ensure data privacy. IEEE 802.1X port-based access control ensures dynamic, port-based security, and user authentication for network access. IP source guard prevents a malicious user from spoofing or taking over another user's IP address by creating a binding table between client's IP and MAC address, port, and VLAN. For IP multicast traffic, the Edge-Core 4610 Series enables IGMP snooping to provide fast client joins and leaves of multicast streams. The switches prevent flooding of IP multicast traffic, and limit bandwidth-intensive video traffic to only the subscribers. The Edge-Core ECS4610 Series supports IPv6 management functions in SNMP, HTTP, Telnet, TFTP, ICMP, SSH, and IPv6 QoS remapping when connecting to the switch or stack. The Edge-Core ECS4610 Series can be managed through an industry-standard Command Line Interface (CLI) that provides a common look and feel to reduce training and operating costs. The switches also provide an easy-to-use web interface through a standard web browser. Four-group RMON is supported to collect traffic statistics and run network diagnostics. The switches can also backup and restore firmware and configuration files via TFTP. 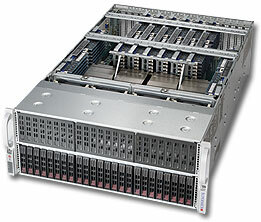 The Edge-Core ECS4610 Series supports hardware-based IPv6 and IPv4 routing for maximum performance. The switches provide a seamless migration path from IPv4 to IPv6 for future network upgrades and investment protection. Advanced routing protocols such as RIP and OSPF provide dynamic routing by exchanging routing information with other Layer 3 switches or routers. Multicast routing is supported under independent multicast protocols, including PIM-DM and PIM-SM. The Edge-Core ECS4610 Series includes two stackable Gigabit Ethernet routing switches with a choice of 24 or 48 Gigabit 10/100/1000BASE-T ports, four combination Gigabit Ethernet SFP slots, two optional 10 Gigabit Ethernet slots, and two stacking ports on the rear panel. The ECS4610 Series is ideal for service provider edge aggregation, enterprise wiring closets, data center aggregation, and network core deployment. It provides high performance, resilient stacking, wire-speed L2 switching and L3 routing, comprehensive QoS, and advanced security to deliver the scalability and resiliency to increase your company’s productivity while reducing operation costs.